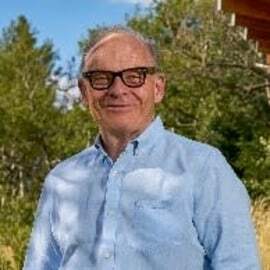 Ian MacGregor is a transformative investor and entrepreneur, whose pursuit of technically complex opportunities has led to the founding, development and growth of a number of innovative Alberta-based energy businesses. Ian is the President, CEO and Chairman of North West Refining., a 50 per cent owner in the North West Redwater Partnership which is building the first new refinery in Canada since 1984. The North West Redwater Partnership is investing $8.5 billion into a bitumen refining complex in Alberta’s Industrial Heartland. It is one of the largest construction projects in the works in Canada. The Sturgeon Refinery will be the world’s first to incorporate CO2 management with carbon capture and storage. This approach will allow the company to produce an ultra-low sulphur diesel with one of the lowest carbon footprints of any petroleum-based fuel. Ian is also the founder and Chairman of Enhance Energy Inc. which is building the Alberta Carbon Trunk Line (ACTL). The ACTL is a fully integrated carbon capture and storage system that will have the potential to compress, transport and store 14.6 million tonnes of CO2 per year at full capacity. In addition to the environmental advantage, the stored CO2 will be injected into depleted oil reservoirs for enhanced oil recovery. These oilfields will see significant increases in production as CO2 is permanently stored in the reservoir, which will provide the economic stimulus of additional jobs in construction, manufacturing, research and a host of other industries.